Astral Preparing Revamps In Four Markets? Astral Media has registered a number of domains hinting at format changes or rebrandings in four Canadian markets with registrations for Boom or Virgin Radio related domains. Starting in London, ON where we already know “Oldies 1410” CKSL will become Comedy “Funny 1410” on January 1. 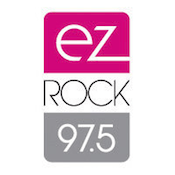 That move could lead to a shift from AC to Classic Hits at “EZ Rock 97.5” CIQM. Astral has registered Boom975.ca, VirginRadio975.com, and VirginRadio975.com. It had already registered Boom975.com this past May. Next up is Winnipeg, where incumbent CHR “Hot 103” CKMM Winnipeg has received a direct threat from Evanov’s “Energy 106.1” CHWE. To retaliate, it appears the station will join its sisters in Vancouver, Calgary, Edmonton, Toronto, and Montreal in gaining the “Virgin Radio” branding. VirginRadio103.com, VirginRadio1031.com, 103VirginRadio.com, Boom103.com, Boom1031.com and respective .ca domains were registered. With Hot 103 still registering a strong 8.6 share, we doubt an outright flip is happening there. Next up is Vancouver, where domains lead even more doubt into the future of AAA “Shore 104.3” CHHR once Astra closes on its acquisition of the station. Boom1043.com, VirginRadio1043.com, 1043VirginRadio.com and the .ca equivalents were registered but we can eliminate the Virgins as 104.3 will be a sister to “Virgin Radio 95.3” CKZZ. The last batch of domains are for 106.9. Boom1069.com, VirginRadio1069.com, 1069VirginRadio.com, and their .ca’s were registered by Astral. “106.9 The Bear” CKQB Ottawa used the Virgin Radio moniker from January 2009 to February 2010 and we doubt it will be rebranding back again. That leaves Hot AC “106.9 Capital FM” CIBX-FM Fredericton, NB as a potential destination.